Every now and then, sport can throw the kind of anomaly that the most talented physicists would struggle to explain. It is a rare occurrence in rallying, where despite the narrow that can exist between winning and losing, results are almost always clear-cut. 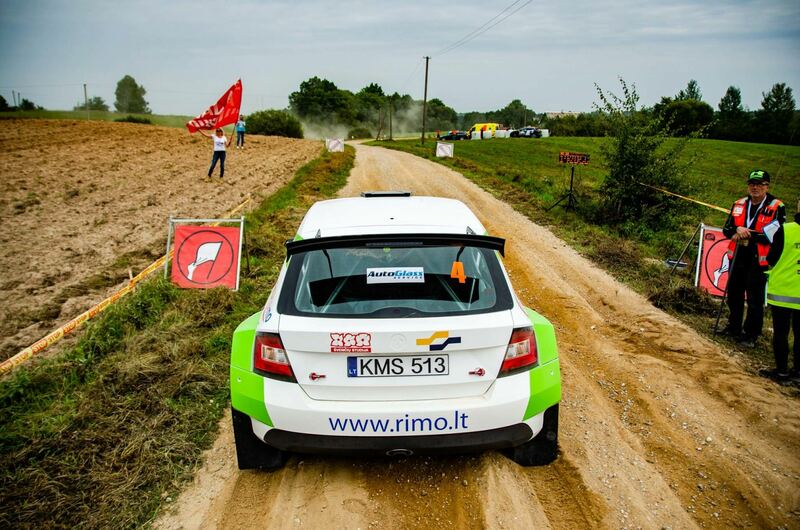 But this year’s Lithuanian Rally Championship managed to throw up just such a situation. Because, somehow despite a ŠKODA FABIA R5 driver winning all five of the rounds contested, a non-FABIA R5 driver managed to win the title. The eventual champion was Giedrius Notkus, a 39-year old, who has been a fixture on the Lithuanian rallying scene for the past 12 years but never before managed to win the national championship. Indeed, he came into this season with only two rally wins to his name in his career. While he did add one victory to that tally this year, it wasn’t in a round of the Lithuanian championship. But as we shall see, that lack of victories wasn’t going to deny him the title. Unbeknownst to those taking part, the most crucial round of this year’s championship would be the opening one, at the Winter Rally in Utena. But its importance was a result of who wasn’t driving rather than anything that happened over the course of what was a dramatic rally. 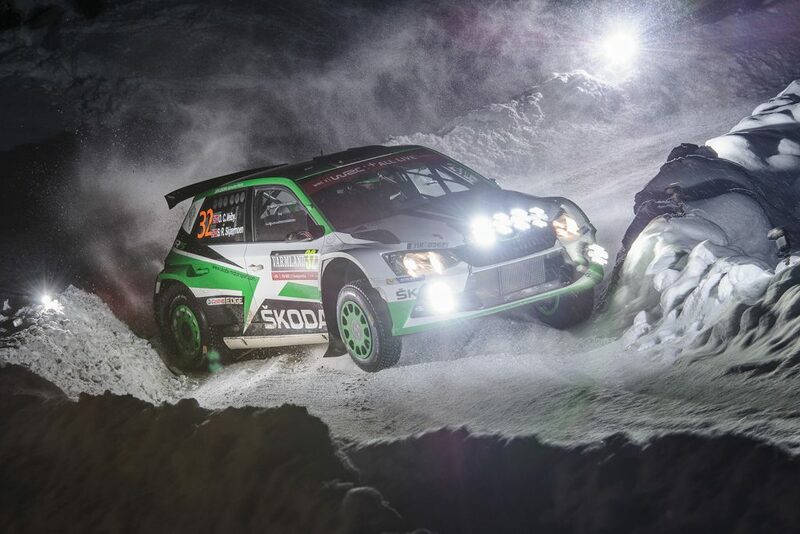 Like all the other Lithuanian Rally Championship rounds, the Winter Rally was won by a FABIA R5 driver in the form of Benediktas Vanagas of the General Financing team Pitlane. But it couldn’t have finished any tighter. Vanagas and Notkus finished in a dead-heat, with their times tied down to even tenths of a second. 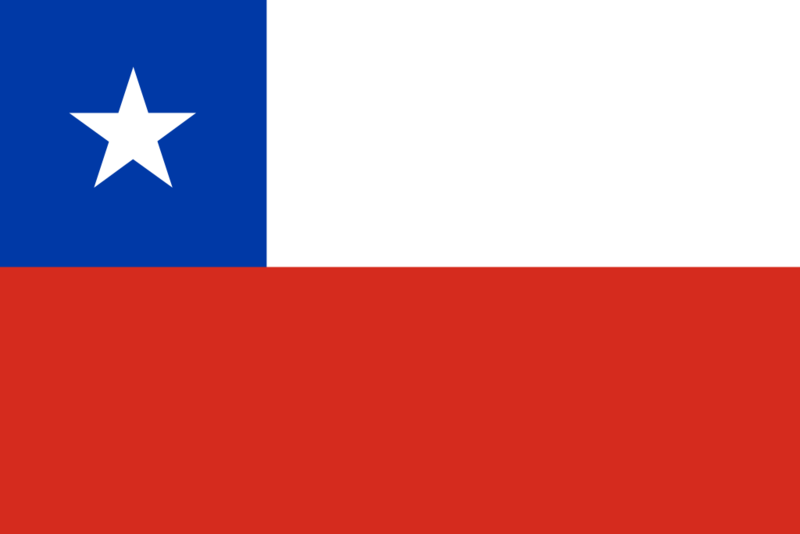 It is a rare occurrence, but the FIA does have a rule to deal with it. It states that in the event of an absolute tie, the winner shall be the driver who was fastest on the first stage of the rally. Vanagas could only finish third on stage one but was still 6.2 seconds and two places ahead of Notkus, and so the victory was his. 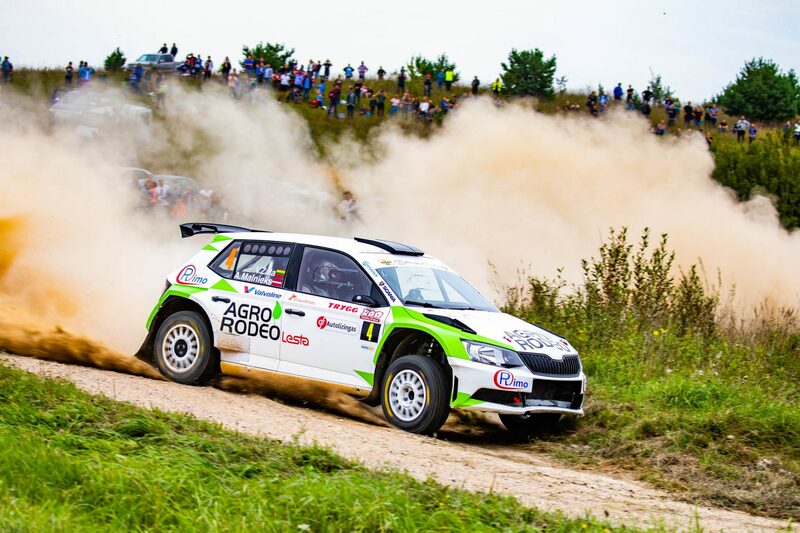 However, in terms of the title race, it was the absence of another FABIA R5 driver, Vaidotas Žala of the Agrorodeo team, which would prove to be the biggest story. Žala returned for the second round the Rally Žemaitija, which took place a full five months later, alongside his new Latvian co-driver Andris Mālnieks. Despite driving his FABIA R5 for the first time, he immediately showed the form that would see him dominate the remainder of the season. He won every stage en-route to a commanding victory by a margin of 2 minutes and 33 seconds. Notkus finished in second place in his Mitsubishi Lancer Evo IX, while Vanagas was third, with a comparatively huge 3.8 seconds separating the two this time. Next up was the Rally Rokiškis and once again Žala dominated proceedings. This time he won all the stages bar one and his margin of victory was 1 minute 58 seconds. But in terms of the title race, what was going on behind him was just as important. Benediktas Vanagas was forced to retire from the opening leg on just the second stage. He did return for the 2nd leg under Rally2 rules but was not eligible to finish in the overall classifications. Meanwhile, Giedrius Notkus once again finished in the runners-up spot, by a more comfortable 49 seconds this time. The fourth round of the Lithuanian Championship was the Rally Elektrėnai, which is also part of the Polish Rally Championship too. 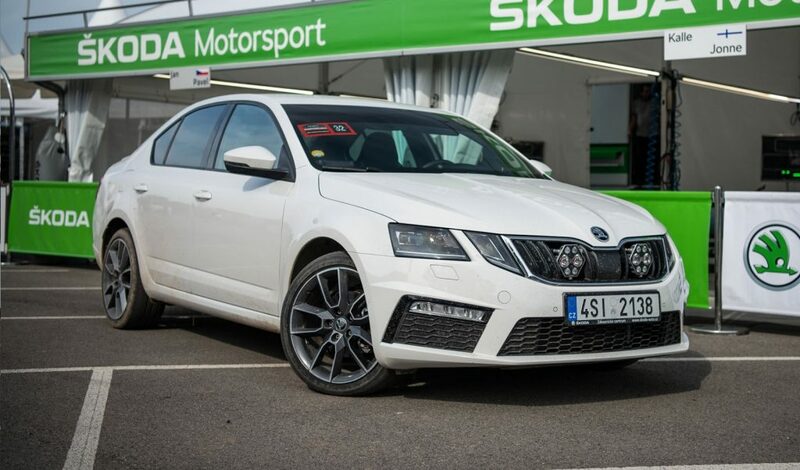 This saw a strong field competing and an overall result dominated by FABIA R5s, with six ŠKODA’s finishing in the top ten. 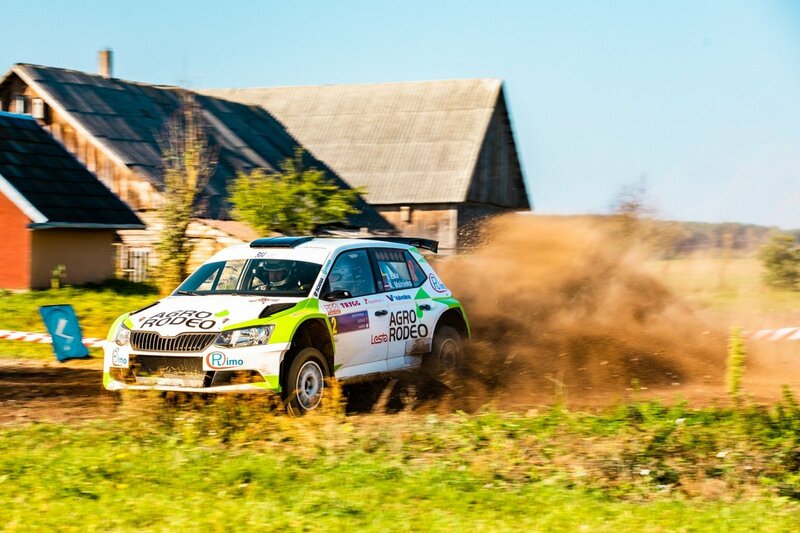 Top of the overall standings was the Sports Racing Technologies FABIA R5 of Russian Nikolay Gryazin. But it was Vaidotas Žala who would finish in a hugely commendable second place overall and claim a third successive win in the Lithuanian standings too. Once again, all the drama was behind him, where Notkus edged out Vanagas by just 0.4 seconds to claim his third successive second-place finish. That result took the title down to the final round of the season, the Rally Classic in Druskininkai. Žala was once again back to his imperious best winning every stage to top the podium by a margin of 1 minute and 54 seconds. 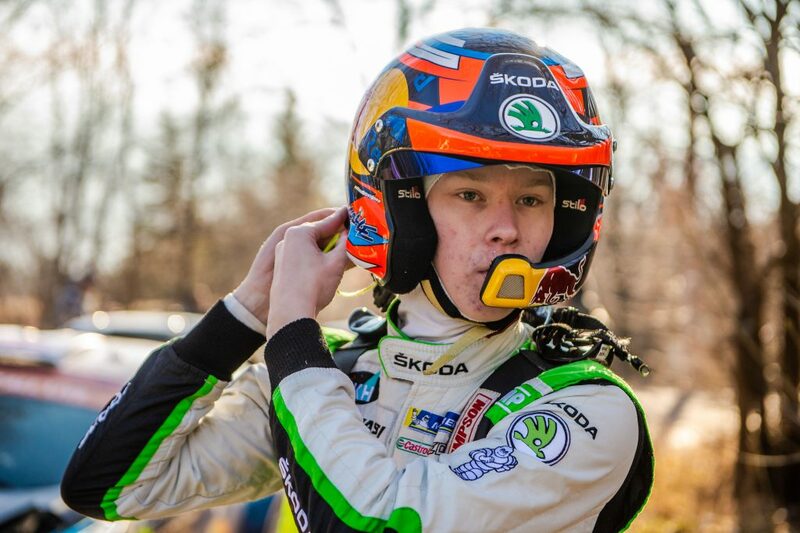 Few would argue, that with four comprehensive victories from the five rounds and a win in every rally he drove, Žala and his FABIA R5 were the standout performers of the 2018 Lithuanian season. But because he missed the opening round altogether, the mathematics didn’t reflect his dominance. 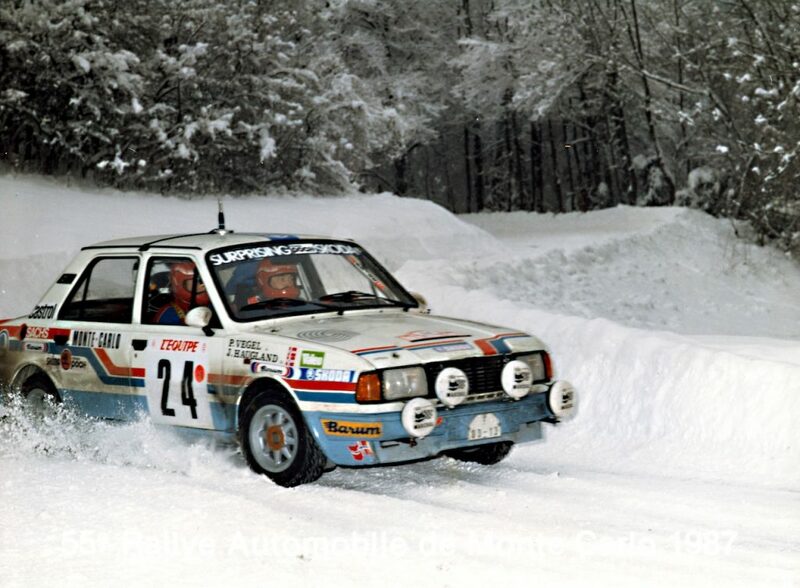 Vanagas was forced to retire from the Classic Rally on stage 6, which bought an end to his slim title chances. But there was still an opportunity for Giedrius Notkus to surpass Žala’s points total if he finished high enough up the leaderboard. For the first time, he didn’t make it into the runners-up spot but did secure a place on the podium with a comfortable third-place finish. It would prove crucial as Notkus was crowned Lithuanian Champion by just one Championship point. Margins of victory in rallying can be slim, but in the case of Giedrius Notkus’s Lithuanian title win, they were as narrow as they get. 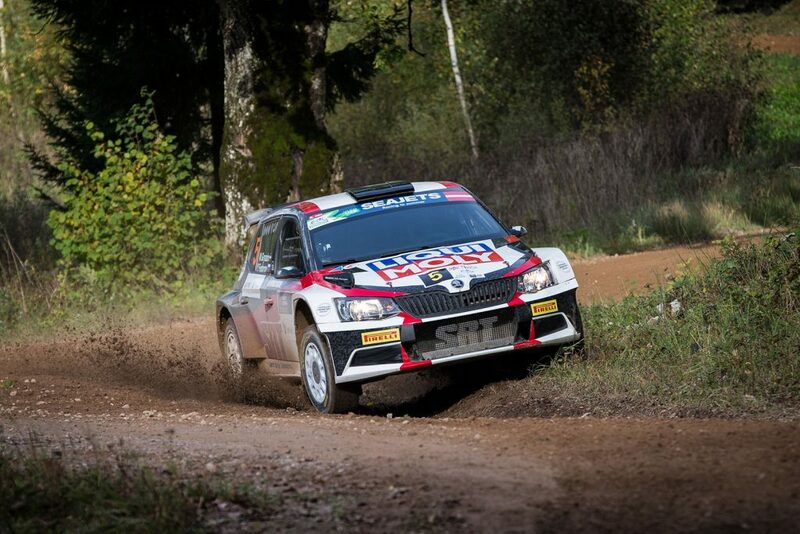 In two rallies, Benediktas Vanagas came within a whisker of denying Notkus the points that would that would have earned his fellow FABIA R5 driver Žala the title. But no matter how thin the margins, the maths doesn’t lie and even if he did only secure one more point and fail to win a single round, there is no denying Notkus a hard-earned title that he has worked towards for more than a decade. Vaidotas Žala is left to ponder what might have been. But the talented 31-year old has shown that, despite not winning the championship this time around, in a FABIA R5 he is comfortably the best rally driver in Lithuania.